The Consumer Electronics Show is always a great showcase for new and interesting technology. This year’s show was no exception, introducing the likes of a ping-pong-playing robot and smart bread maker. In fact, there were so many tech products on display that it seemed as though CES actually broke Captain America star Chris Evans. One invention, in particular, seems to have caught journalists’ eye — the Lovot, an affectionate robot intended to be a suitable companion to humans. The Lovot was designed and built by Kaname Hayashi, the man behind Softbank’s Pepper robot assistant that can be found across North America, including in a Toronto hospital and Alberta banks. Hayashi actually took some of the feedback he heard from people who interacted with Pepper when designing the Lovot. Right from the start, the Lovot is designed to elicit an emotional response thanks to its highly expressive animated eyes, a stark contrast to Pepper’s static piercing gaze. 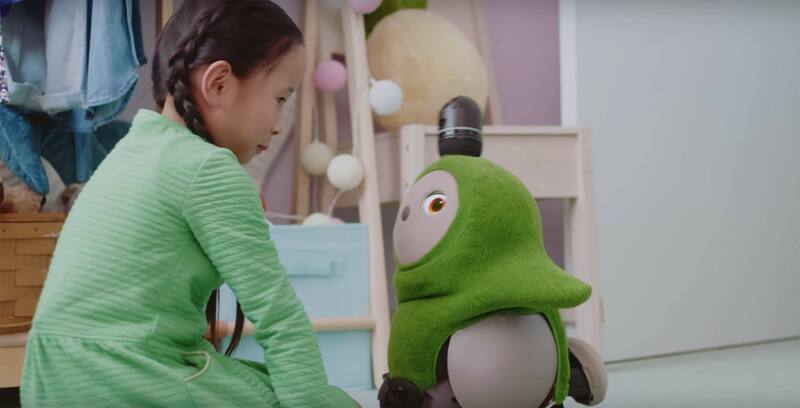 Further, some consumers said they didn’t like the cold, metallic exterior of robots like Pepper, so the Lovot instead features a softer skin that radiates heat. The Lovot doesn’t have a speaker or even a drawn-on mouth, meaning that you’ll get most of the emotional attachment out of its various eye expressions and body temperature that intend to simulate toddler-like behaviour. For example, cradling the robot will make it fall asleep, while showing attention to another Lovot will have it get jealous and upset. All the while, the Lovot will be scampering around using a set of wheels and a 360-degree camera to recognize its surroundings. Currently, the Lovot is set to release in the U.S. sometime next year, although it’s possible that it could launch in Canada and other countries. The Lovot is now up for pre-order for $3,000 USD (nearly $3,980 CAD). Maybe it’s because I’m a dog owner, but I just find this robot companion a little off-putting. If this is something that tickles your fancy then more power to you. To be fair, I wasn’t actually at CES, so I wasn’t able to interact with the Lovot, unlike many other journalists. For me, though, technology is at is most discomforting when it substitutes that connection with a living, breathing being, be that a partner, child or pet. The idea of coming home to a robot on wheels instead of an energetic tail-wagging dog is just bizarre to me. Of course, a robot is less of a commitment, but the best things in life don’t often come easily, anyway.